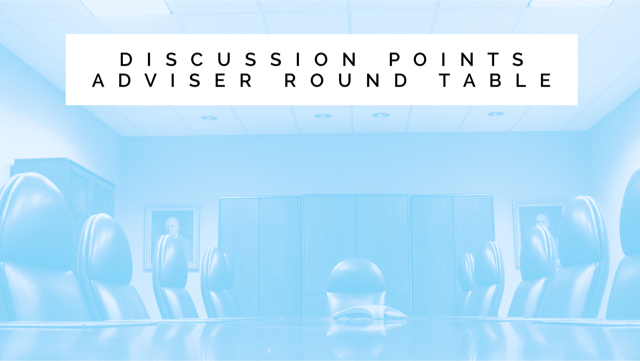 On June 13, 2017, Protection Review held it's annual Adviser Roundtable. As always we enjoyed a frank, and at times heated exchange of views. The type of discussion you would expect from a group of people passionate about the protection industry. As is the usual practice with the Intermediary Forum, we assembled a group of leading advisers and specialist consultants and businesses. Two leading reinsurers were also in attendance. To ensure good discussion and avoid inhibition in making comments the identities of the participants are not revealed. The group was full of highly experienced professionals and experts in protection and met at Swiss Re in London on 13th June 2017. Where is the protection industry at the moment? There was a general consensus that the industry is not in a particularly good place at the moment. The group were at pains to point out that that the role the industry plays in society was vital but they did not feel it was operating anywhere near as well as it could. There was also a feeling that the focus on price caused churn in the market rather than expanding the amount of new business written. There was a widespread view that the process by which mortgages are sold was failing many customers who often failed to buy very necessary protection at the same time. There was exasperation about this and a desire to take action. It was the length of the process which led to advisers not being willing to burden clients with the stress of buying protection as well. There appeared to be real customer detriment here. What obligations does this place on those in the market now? But are there flashes of hope? Where have all the protection salesmen gone? One important theme was the drop in advisers who could sell protection. There were 285,000 advisers in 1989 but only around 26,000 now. Was it any wonder that protection volumes were dropping? There was also scepticism that we could train up a lot of new protection advisers especially given public scepticism about the value of the product. How does the protection industry change the situation? There was a general feeling that while there is specific company advertising, there could be a void in addressing the overall value of protection generically. One of the main themes of the forum was the lack of supply in the protection market, particularly in terms of the available distribution of products. The discussion then touched on whether there was a value in an organisation that could educate, drive and energise the protection market. The group were realistic about the challenge of changing behaviour to focus more on protection. This was a lively and very constructive forum from a group that believes passionately in the value of the product but who have seen slow progress in getting protection to a wider base. Perhaps the biggest realisation was that we have had such a drop in the numbers selling the product that we cannot expect to emulate the production levels of yesteryear. Yet there remains such a belief that almost everyone needs protection that there is inevitable frustration that we have failed to deliver it in the last few years. Is the answer the promotional equivalent of Life Happens or is it a more concerted and directed conversation with Government. But who drives this activity and takes responsibility for the impact of the industry as a whole?